Bridgeview, IL - Lifting Gear Hire Corporation (LGH) assisted in a job that required moving a 25' x 50', 28,000 lb. 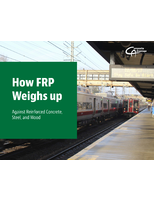 model railroad from Farmington, PA to Connellsville, PA. LGH supplied a Modular 50 Spreader Beam, at a discounted rate, to help lift and move the model railroad shipping container. The shipping container was moved as one piece by a home moving company to Connellsville. 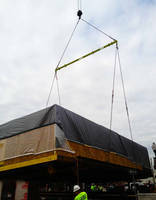 Once the shipping container arrived in Connellsville, it was secured to the modular spreader beam by several slings and lifted by crane from the truck to the building where it will be housed. Harry Clark started designing the model railroad after his return from World War II. A few years ago he decided to sell it to a friend of the family and a local business man. The model railroad will now be housed in downtown Connellsville. The new home for the model railroad is being built to resemble the old B&O Railroad station that was torn down in the early 1980's.